This book offers the first comprehensive picture of the medieval archaeology of the Czech Lands to be available in English. Alongside assembling the main topics of current archaeological research, it establishes the key issues in its methodology. Topics covered explore both rural and urban contexts, secular power structures, and monastic houses and parish churches. Besides flagship urban archaeology surveys in Prague and Brno (the Moravian metropolis), unique in Europe is the excavation of the suburb of the town of Sezimovo Ústí which ceased to exist in 1420, and the complex castle excavations at Lelekovice and Rokštejn. In the landscape, important data come from the surveys of deserted villages and manorial farms. Special attention is given to technology, crafts, industry (including mining and glass production), housing culture and daily life across the various social strata. One of the fascinating features is the artefactual presentation of two competing religions – Catholicism and Utraquism; and new insights are made of Jewish everyday life, and the story of the Anabaptists and their Central European crafts heritage. Key sites, structures and finds are illustrated as the author ventures on an archaeological journey through the medieval Czech Kingdom. 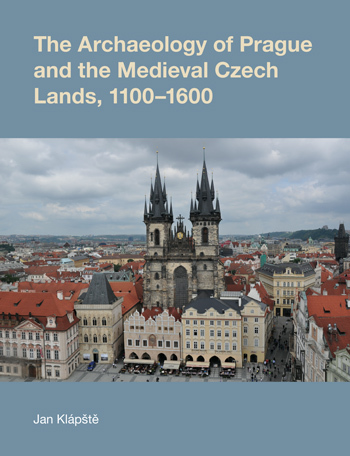 A particular focus of this book is the position of the Czech Lands between the gradual process of medieval transformation (13th century) and early modern transition (16th century). Throughout, the book is illustrated with images rarely seen in the wider European context. Well written and richly illustrated. [It] gives an excellent overview of medieval archaeology (AD 1100–1600) in the territory of the present‐day Czech Republic, encompassing the historical units Bohemia, Moravia and Czech Silesia. Its importance is further highlighted by the fact that publications of research results on the medieval period from this region, and from east Central Europe in general, have hardly been available in English so far. Thus this book will offer a new and unique opportunity for an international audience to engage with the medieval archaeology of Europe from a more holistic perspective. The book is likely to appeal to a wide range of audiences, including scholars and students of archaeology and related disciplines (e.g. history, art history, medieval studies, human geography), as well as scholars, students and the wider public interested in the history and cultural heritage of Europe and specifically of east Central Europe. Presents Czech archaeology as a discipline that has something to say in a European-wide context. Klápšteˇ’s book is truly a highly valuable addition to the literature published in English on the archaeology of medieval East Central Europe. Anyone with an interest in medieval archaeology and history will find it a rich source of information with many new insights. This is an important work for medieval archaeologists as it is the first comprehensive account in English on medieval archaeology in the present-day Czech Republic. It is a book with plenty of material, and not one that can be read in a hurry. The author, an expert in his field with many decades of experience... who across nine chapters offers a wide ranging, well researched, systematic and ordered overview of Czech Medieval Archaeology. This groundbreaking study will attract those interested in the history, material culture, religion and archaeology of the Czech lands. Klápšte seeks to introduce the subject to a broad audience, and it should be noted that a synoptic survey does not exist for the subject or the period even in Czech. This makes this study particularly valuable. Jan Klápšte has produced a study without antecedent or peer. Successfully fulfils the main goal set by the author in the introduction. It summarises the development along with the results as well as the perspectives for Czech medieval archaeology in a clear and comprehensible manner. And last but not least, reading this book is a pleasure.